Consuming cannabis, or marijuana, will soon be a legal right. New laws that will affect the use and growing of cannabis in condominium communities is expected to be in effect October 2018. Get ready. The reality is that more people will be consuming and growing cannabis in condo buildings. Condo boards must decide how they intend to adjust to this and its impact on building residents. Now is the time to get your policies and procedures in place. 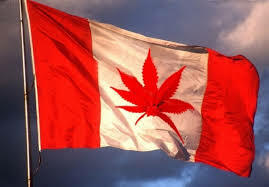 The Supreme Court of Canada has ruled everyone must have legal access to cannabis. Government is complying with this ruling by revising laws. New laws will allow condo residents to smoke cannabis in their unit and on their balcony, and to grow cannabis in their home. Cannabis users do not receive any special right allowing them to create a nuisance disturbing the comfort or quiet enjoyment of building residents. Consumption of cannabis will be similar to consumption of alcohol or smoking of tobacco. 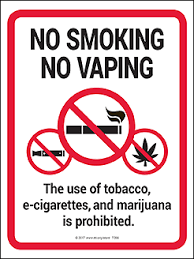 Many rules currently applied to smoking of cigarettes will apply to the smoking of cannabis. The new legislation can be viewed as an expansion of the current Smoke-Free Act with the addition of cannabis and vape pens. Individuals breaking the law can be issued a citation and fined by the police. Use of cannabis will remain prohibited in indoor common areas of condo buildings including elevators, hallways and parking areas. 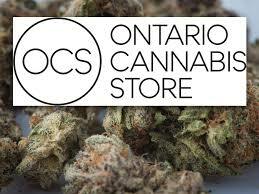 There will be an exception for medical cannabis which can only be consumed in designated locations. Residents will be allowed to grow cannabis in their home. They may do so to save money, for fun or as a hobby. 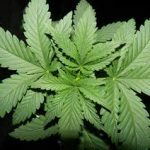 Once planted, cannabis plants will give off an odour evident beyond the confines of a unit after about four weeks. Some people find this odour offensive. Heavy water and electricity requirements for growing cannabis plants, risk of fire and flood are just some of the challenges that will be faced by condo communities. Edible cannabis will not be regulated. The legal community is divided about the best approach to deal with legalization of cannabis. 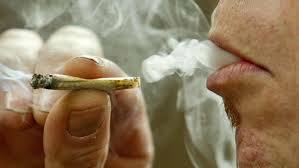 There is agreement that smoking of cannabis has a high likelihood of affecting condo neighbours. There is a safety concern, particularly since legislation will allow for the growing of cannabis. Some view this legislation as conflicting with the condominium corporation right to govern their property. The vast majority of condo communities appear to be studying the impact of this legislation and may continue to do so for the foreseeable future. For this group communication may be an important tool as they engage the community to determine a long-term approach. Town hall meetings, newsletters, owner surveys and board discussions can educate the community and help determine how they would like to proceed. Condo communities can continue to rely on the Condo Act, declaration and rules to deal with any nuisance that may disturb the comfort or quiet enjoyment of residents. Condo management continues to have the right to enter a unit if there is a suspected problem. Charge-backs remain a powerful enforcement mechanism. Owners can be charged the cost of sending a legal notice informing them if they or their tenants fail to comply with governing documents; Condominium Act, declaration, bylaws or rules. Condo owners could be required to install filters or other measures to control the migration of smoke and odour. They may be asked to consider cannabis delivery systems that don’t create smoke or odour. A wait-and-see approach can make it more difficult to pass future rules or bylaws relating to cannabis use. Changes prior to enactment of legislation would eliminate grandfathering and other concerns. There would be no need to accommodate residents whose actions are allowed and then not allowed when governing documents are revised. Condo communities may choose to prohibit cannabis consumption by amending the declaration. This requires 80 percent support of all unit owners. Rule changes may also be necessary. If a declaration is amended before enactment of legislation there would be no grandfathering concern. Prohibiting cannabis will only be effective if there is a willingness to enforce. Cannabis consumption can be controlled, not prohibited, by passing one or more rules. This requires a board resolution and notice to owners. The Condo Act allows boards to pass rules to promote safety, security and welfare, and to prevent unreasonable interference with use and enjoyment. Rules enacted prior to new legislation eliminate grandfathering concerns. 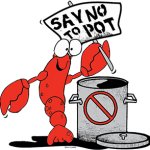 As with prohibiting cannabis, restrictions will only be effective if there is a willingness to enforce. It is up to each condo community to decide how they want to deal with this new legislation. There will be uncertainty for the foreseeable future since nobody has answers to all the questions about cannabis use in condo buildings. It will be up to the courts to decide which means demand for condo lawyers familiar with this issue. Experts offering solutions and who understand how to deal with cannabis-related matters in condo communities – air quality, HVAC, building sciences, cleaning, energy measurement and metering, water use and metering, odour control, pest control and restoration to name just a few – are likely to be in demand. This will soon be the new reality for condo communities. There continues to be a thriving black market for cannabis. There is talk of recriminalizing it in Colorado. Toronto Condo News has reorganized the Condo Archives to provide direct access to information about cannabis in condo communities. See Condo Building Management – Air Quality (Marijuana) for information relating to cannabis in condo communities. Community Associations Institute brought together a panel to speak at a June 2018 Lunch & Learn event Waiting in the Weeds – Everything you need to know about Marijuana and Condos. Hundreds of condo directors, residents and condominium managers attended to better understand the implications of this forthcoming legislation, its impact on condo communities and how to proceed. Much of the information in this article comes from this event. Thank you to the Community Associations Institute and its panel – Officer Aamer Merchant, Peel Police; Robert Mullin, SV Law; and Max Zavet, Levy Zavet and co-founder of Emblem Cannabis – for this informative event.